What a wonderful time of the year! There is seriously something magical about the holidays, isn’t there? Cold weather, hot drinks, bright lights. 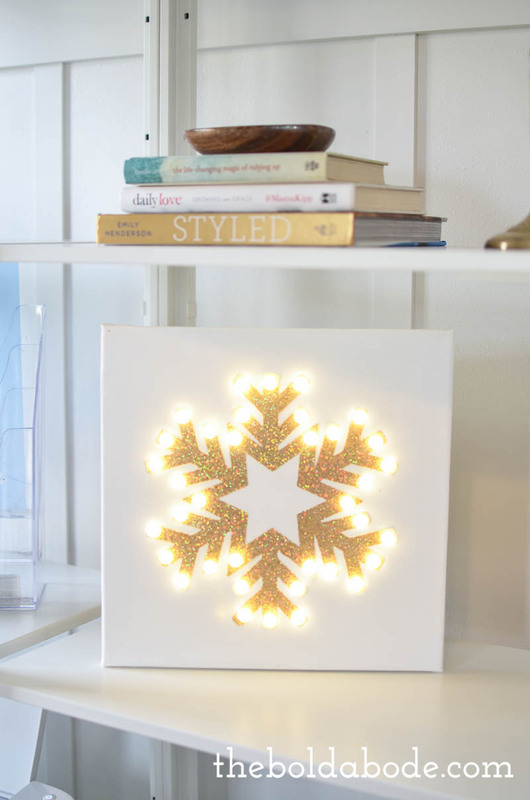 Speaking of bright lights, I’ve always wanted to make a lighted snowflake canvas and finally, here it is! 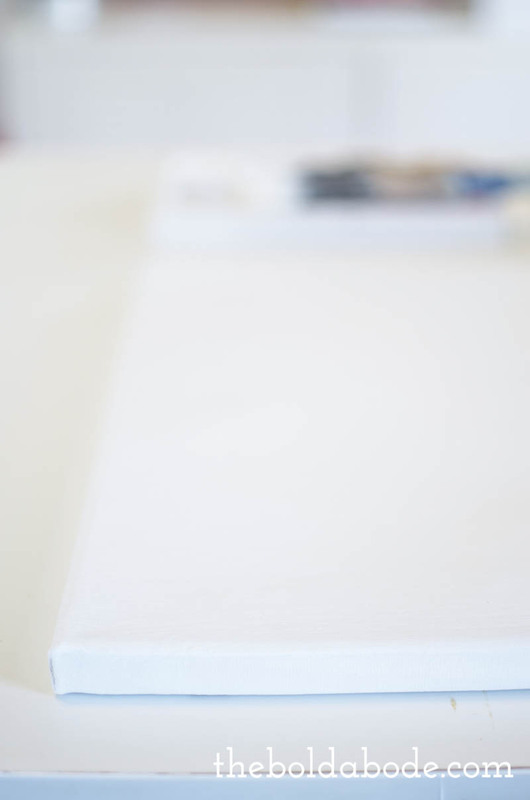 First, give your canvas a generous coat of white paint to prime it well. I think black paint would work here too. Just depends on your decor! 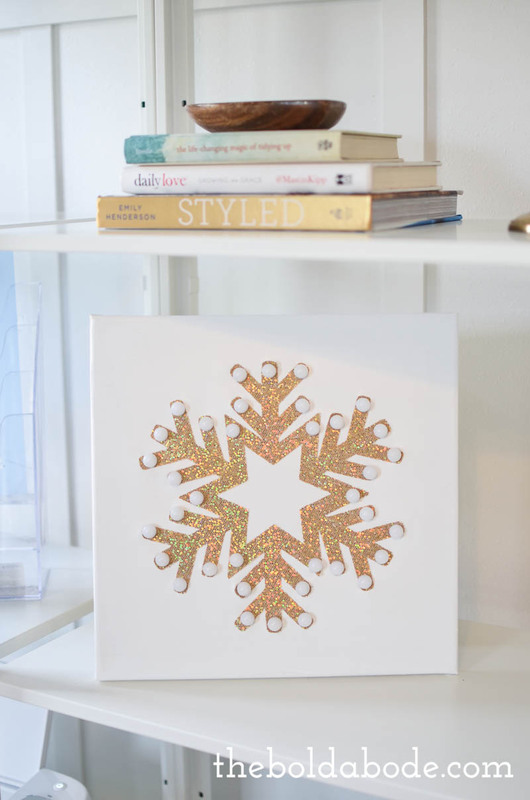 Then cut a 9×9 snowflake from your glitter cardstock with a exactoknife or cutting machine. 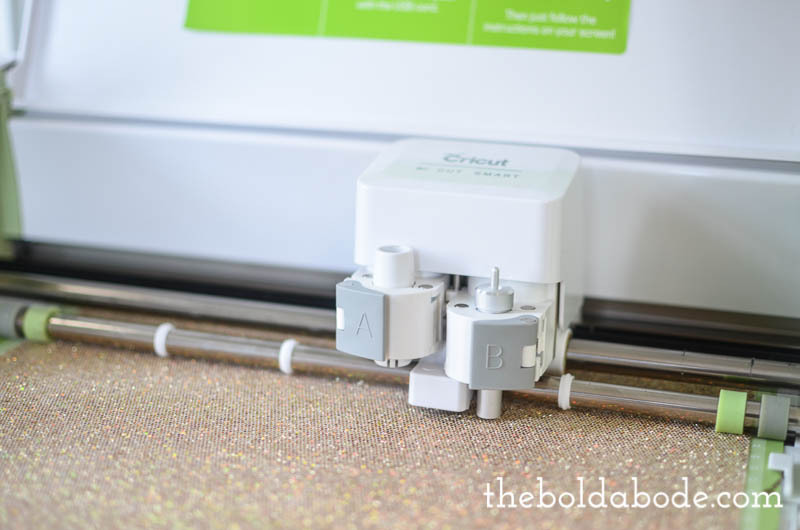 I used my Cricut Explore which is beyond amazing. 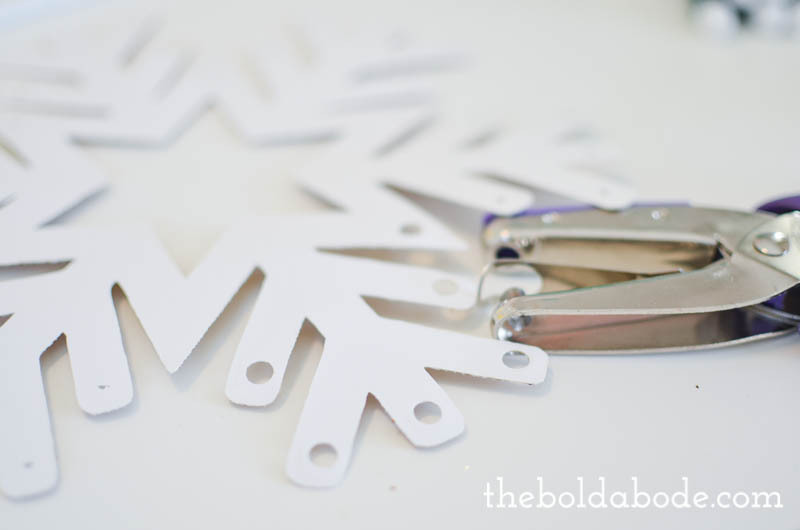 Beats the heck out of scissors and cuts some pretty intricate designs that I’d never be able to do with my hands. 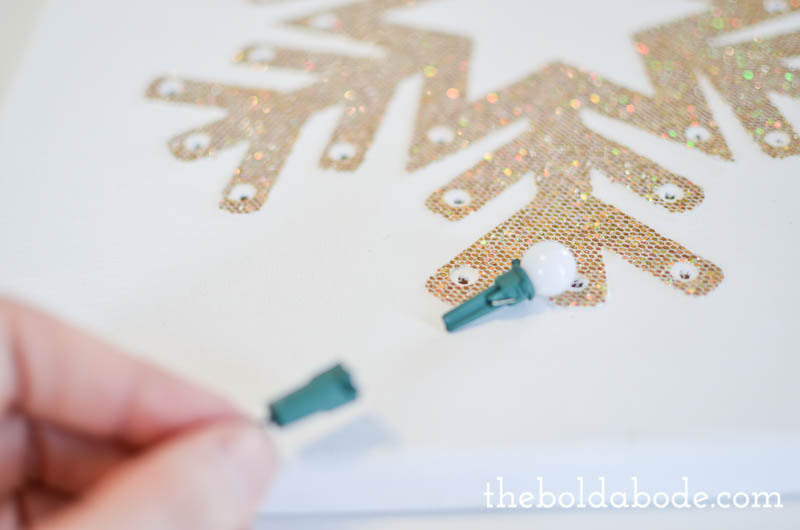 Turn your snowflake over and make dots where you want your lights. 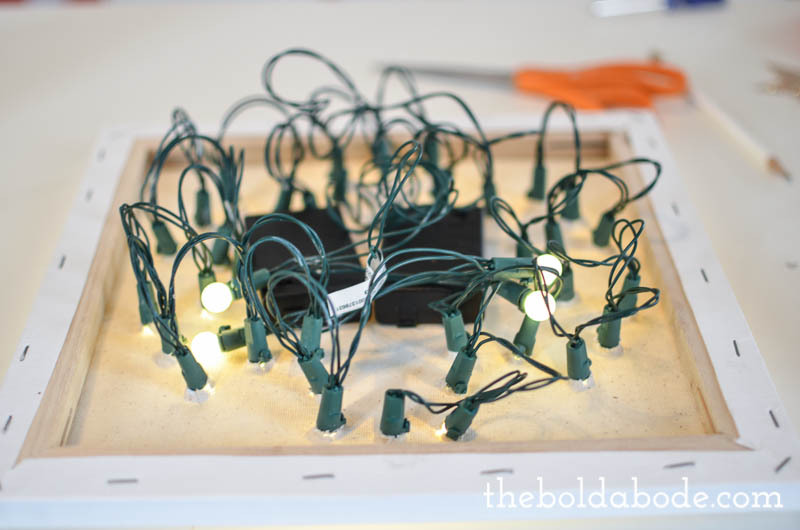 Use a large hole punch to make the holes for the sting lights. 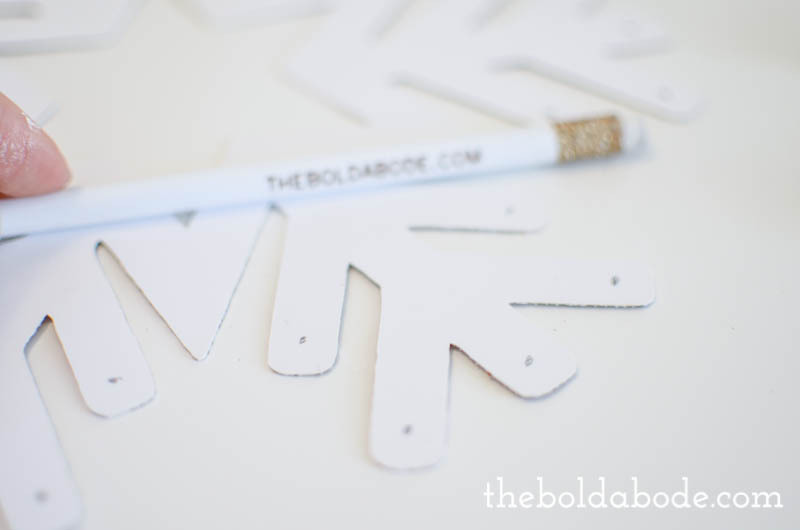 In retrospect, I should have created holes for the lights in my template and cut them with the Cricut. Live and learn! 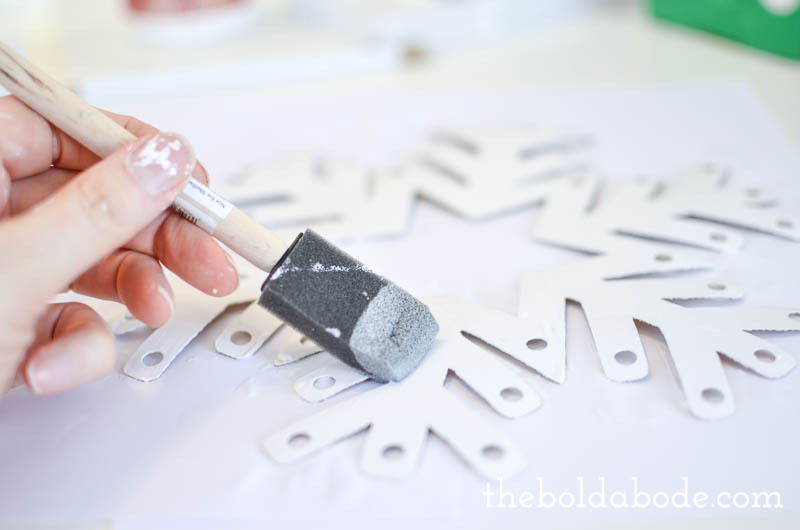 Take a sponge brush and add a layer of Decoupage to your canvas and the back of your snowflake. 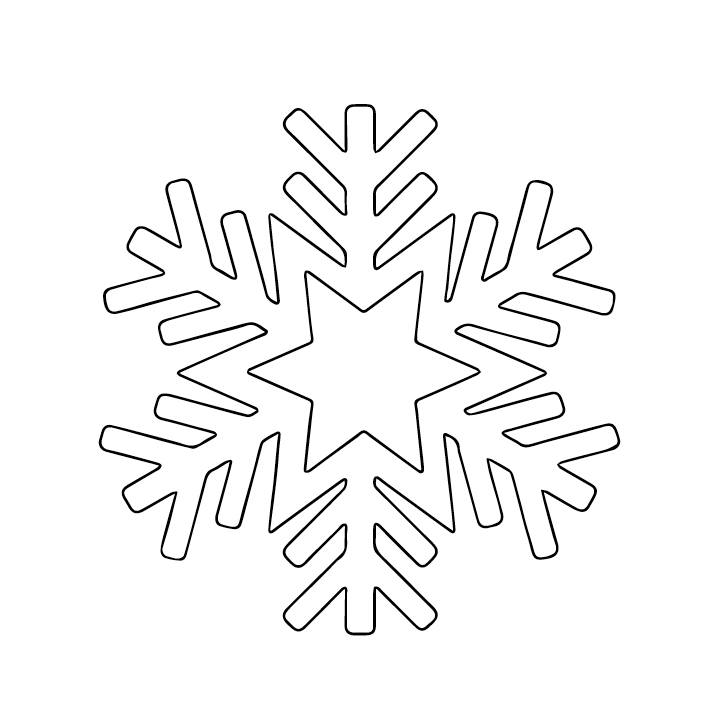 Center your snowflake on your canvas and press down. 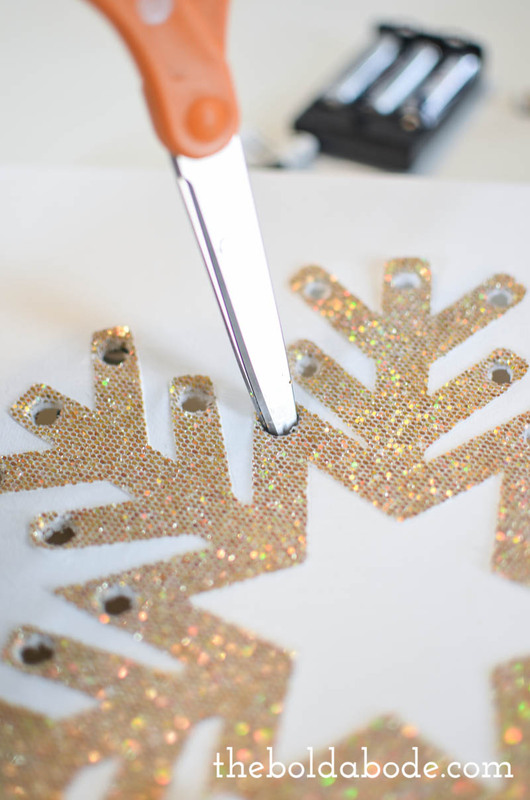 You will want to flip it over and press from underneath to get good adhesion. Allow to dry for a couple of hours. 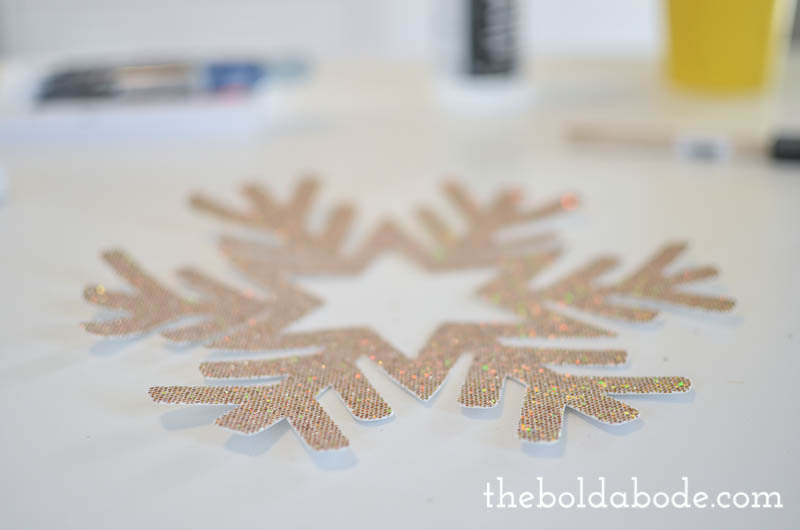 If you want, you can add another layer of Decoupage on top of the snowflake. That would make sure it stays in place no matter how many new kittens you might have! ha. Then, punch holes through the canvas. You can use a screwdriver, a pencil or take your scissors and twist through the hole to make it large enough for the light to go through. I had to use scissors to get the hold large enough. It worked great. Now to add the lights! For each light, you need to take the bulb out and pop it through the hole in the canvas. Then re-attach it to the base of the light from behind. Continue until all your holes are filled with lights. You’ll have a lot of cording behind. I tried taping the battery packs to the canvas, but it wouldn’t hold. Maybe some hot glue would work, but I was going to set my finished canvas on the shelf, so I didn’t worry about it. I just let them sit on the shelf hidden behind the canvas. You can’t see the wires or battery packs at all! Making this small canvas has me wanting to do something bigger! Maybe for the yard or the wall in the dining room. I mean, this is the Bold Abode, right? 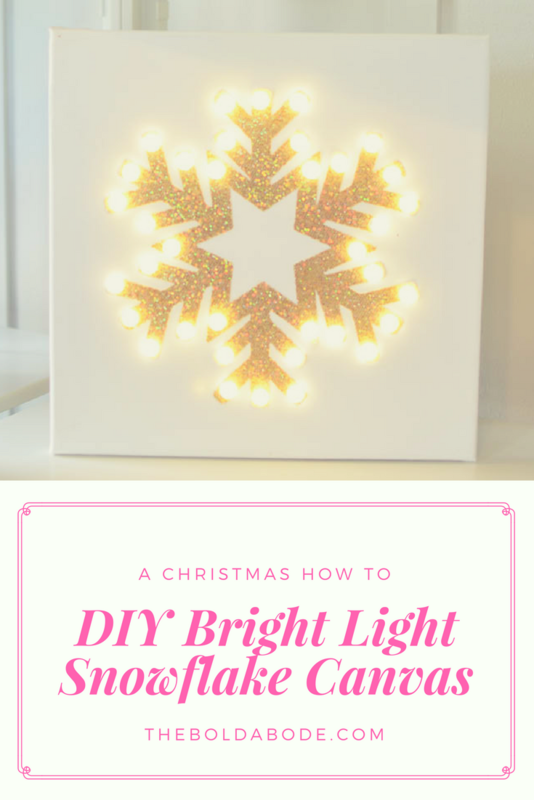 Have you ever made a lighted canvas? Let me know down in the comments below! 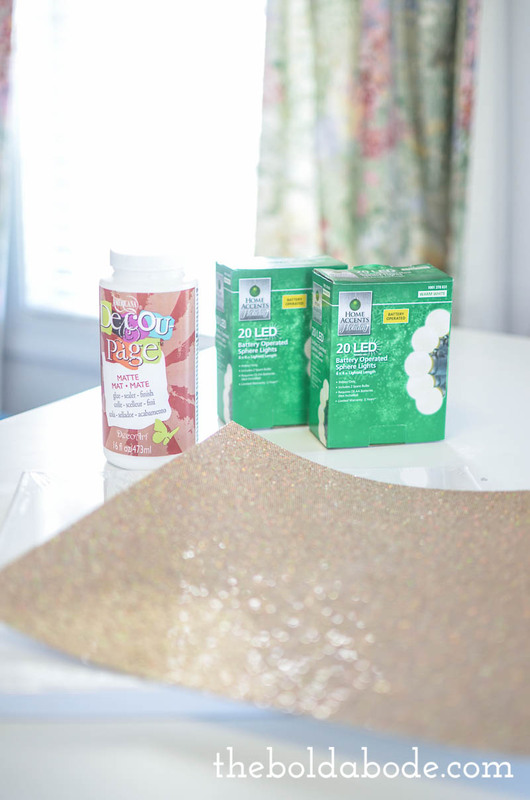 *Thank you so much to DecoArt for sponsoring this post. The content and opinions are 100% my own. how pretty, festive, and fun! love it all lit up! The finished product is really nice! I think I’ll attempt it. Unlike me, I think you lucked out with natural talent 🙂 This stuff seems to just flow naturally from you! Thanks for your kind words! You are probably underestimating yourself. You should definitely try it!